Money Smart Week, a national campaign focused on enhancing your personal financial management skills, is just around the corner! 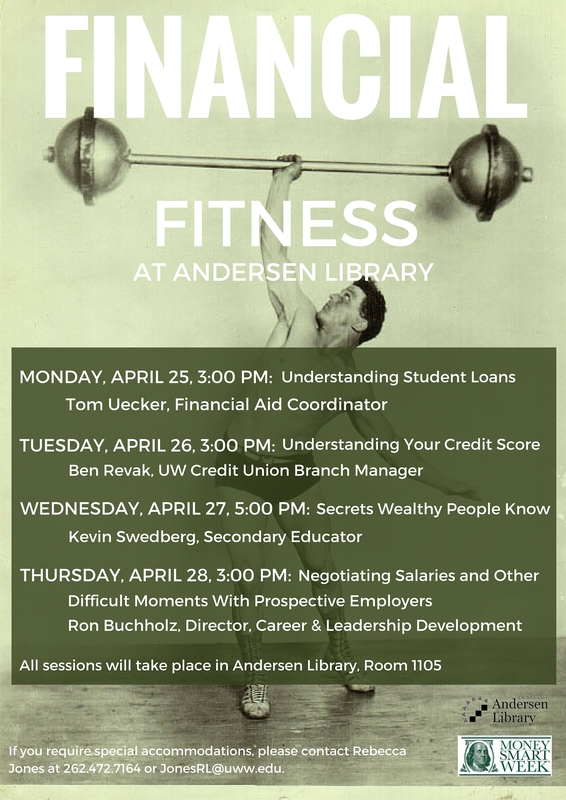 Join us April 25-29 in Andersen Library 1105 to learn more about financial aid, credit scores, negotiating salaries, and more. This entry was posted in money mondays and tagged financial literacy, money smart week. Bookmark the permalink.